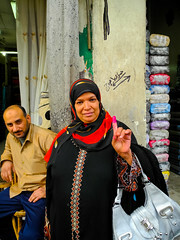 Cairo is loud, in many corners dirty, confusing, unsettled, turbulent, full of cars and full of people. Great! I really gotta say that Cairo was very different from what I expected. In many ways the city was more strange to me then I would have thought, but in many ways more familiar. 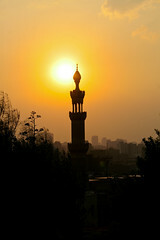 Egypt and especially Cairo is definitely steeped in the recent history and the revolution. Everyone from the cab driver to the hotel manager will gladly talk with you about the revolution, hear your opinion, discuss the future. At every square you will see military and tanks – the guards of the hope of democratic future during the transitional time. You will see the burnt out NDP headquarter, burnt out police stations and the name and image of Husni Mubarak erased from signs, buildings and walls. You can buy stickers of the revolution and pictures of all the people who died during the protests. But there is also a big shadow: Almost no tourists in March, most windows of the big hotels stay dark at night. My first day was election day in Egypt – the people voted on a constitution change, seen as the first democratic election in many, many years. On our walk through Islamic Cairo we passed many crowded polling stations. Anne took this great picture of a woman, who had voted and therefore ink on her finger as a method to make sure that everyone only votes once. 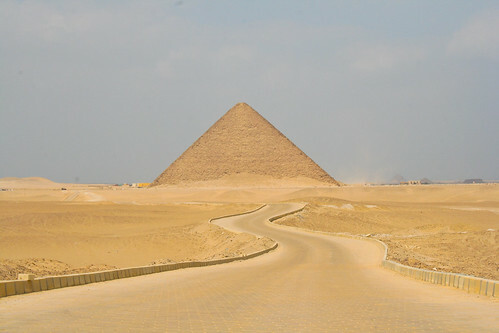 But of course Cairo is not only a city of recent history, but one with footprints of all periods of times. The Egyptian museum, the Pyramids, the mosques in Islamic Cairo, the churches in Coptic Cairo, I definitely collected hundreds of new impressions of this old place. The best of them you will find in my flickr account. Since I was there with Anne I was lucky enough to also see those places you usually don’t visit when you come as a tourist, and to meet many young people who work and live in Cairo. I also got the chance to see the Mediterranean harbour Alexandria as well as the south east of the Sinai – which feels like the most peaceful place, if you forget the military checkpoints and the history of the place. 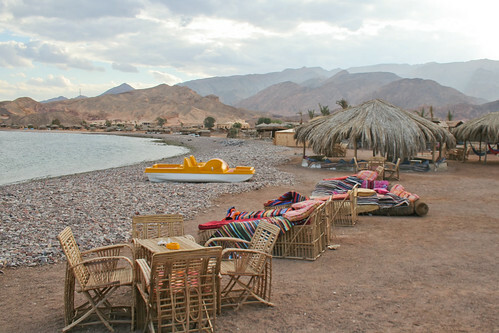 The Gulf of Aqaba seems like a huge coral aquarium with more salt than water, the stars are bright and the air is fresh in the Sinai mountains, and when the bedouins tell you old stories and legends at the campfire, you feel like maybe paradise could do without all the green grass and apple trees. Dieser Beitrag wurde unter photos veröffentlicht. Setze ein Lesezeichen auf den Permalink.